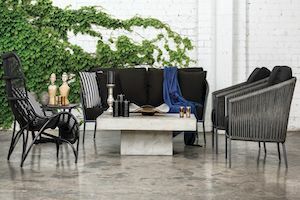 With its sleek lines and contemporary looks, this lounger will make a stunning addition to any area and is perfect for entertaining and relaxation. 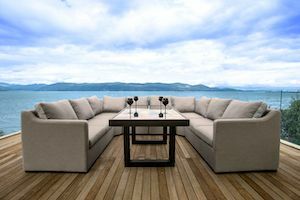 The table has a frosted toughened safety glass top.The Rehau Lounger will turn your outdoor area into a luxurious retreat. This Lounger is handwoven using market leading REHAU brand of rattan. The piece is contruncted with commercial grade powder-coated aluminium frames that will remain rust free. Comes complete with extra thick base cushion for extra comfort. The lounger comes with a 1 year warranty against fading or corrosion for piece of mind. The rattan weave is water and frost resistant, it is UV light resistant to ensure that the rattan does not fade in sunlight and has been tested to withstand temperatures from -25c to +55c temperatures. 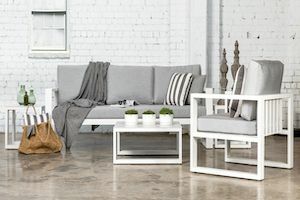 With its sleek lines and contemporary looks, this lounger will make a stunning addition to any area and is perfect for entertaining and relaxation. The Rehau Lounger will turn your outdoor area into a luxurious retreat. 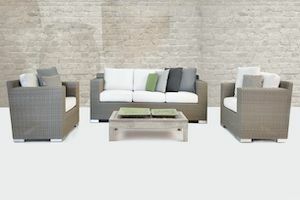 This Lounger is handwoven using market leading REHAU brand of rattan. The piece is construncted with commercial grade powder-coated aluminium frames that will remain rust free. 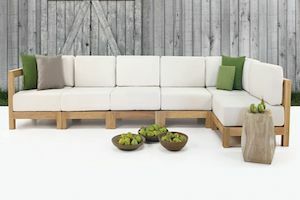 Comes complete with extra thick base cushion for extra comfort with sunproof fabric. The lounger comes with a 1 year warranty against fading or corrosion for piece of mind.